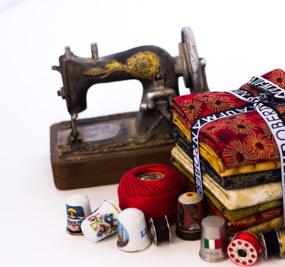 As with fabric there is a vast array of threads available to quilters and embroiderers today. 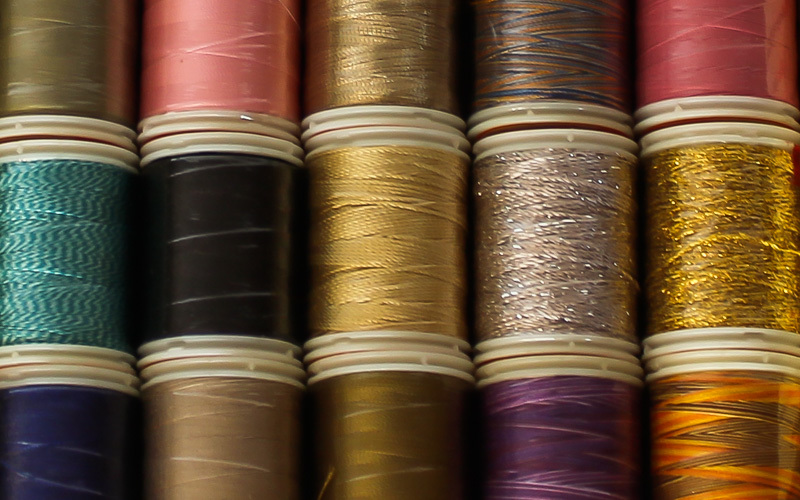 If you’re anything like us it can be just as hard to resist some beautiful thread/s as it is to resist fabric! We tend to use cotton thread when piecing our quilt tops and quilting our quilts. It’s important to have some neutrals in your thread collection as these can blend better and be less obvious when joining lighter and darker fabrics together. We suggest having a light (white/off-white/cream), medium (mid-grey) and dark (black) thread as staple threads in your collection. Other colours of threads can also be fantastic to use when you want to match a particular colour in your quilt (eg red thread for appliqueing a strawberry) or make your quilting a feature of the quilt. Variegated threads are threads that change colour along their length. These can give some added interest to your stitching. Some of them are dyed in a repeating pattern where the dyed length and order of the dyes are the same all the way along. Others are more random in the length of each dyed section. They are fun to play with and we definitely recommend giving them a go. Various other types of threads are also available. 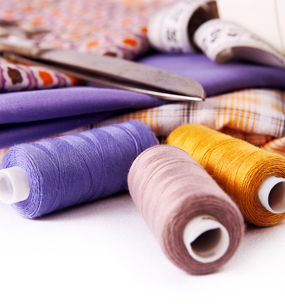 Polyester, rayon, silk, metallic, wool and perle cottons can be used for surface embellishment, applique and embroidered components of your quilt. Monofilament thread is a great option when you want your quilting to be invisible and can also add a subtle glint wherever the light catches it. The weight (or thickness) of the threads you use will have an impact on the finished look and feel of your stitching. Threads with a higher weight are finer and threads with a lower weight are thicker. The thread ply is also part of the equation. Ply refers to the number of ‘plies’ twisted together to create the thread. The more plies, the thicker the thread (ie three ply thread will be thicker than two ply thread). These factors are important to think about when quilting as the weight and ply of your thread can impact on your seam allowance. Thicker threads may result in your ¼” seam not being a true ¼” and consequently the size of your block, sashing or border being smaller as a result. Make sure to test your threads on some scraps to check seam accuracy. 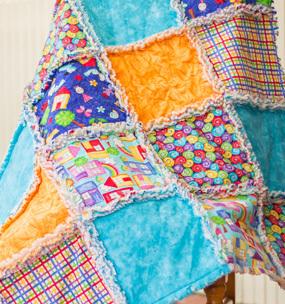 We have seen some amazing thread work on both quilts and embroideries, but also on samples that have been created while trying out different threads. Bright colours and metallics really zing on a black background, while muted browns and greens on a beige or cream background have a softer, more subtle look. So, what are you waiting for? 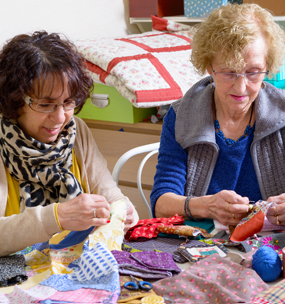 Why not start experimenting with different threads yourself? We’d love to see the results so make sure to share some pictures with us on Instagram. We’ll be doing our own experimenting this year and will share our results too.